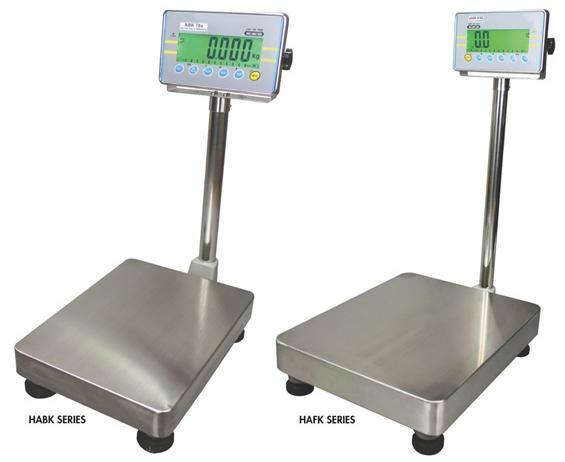 The most versatile scale available. 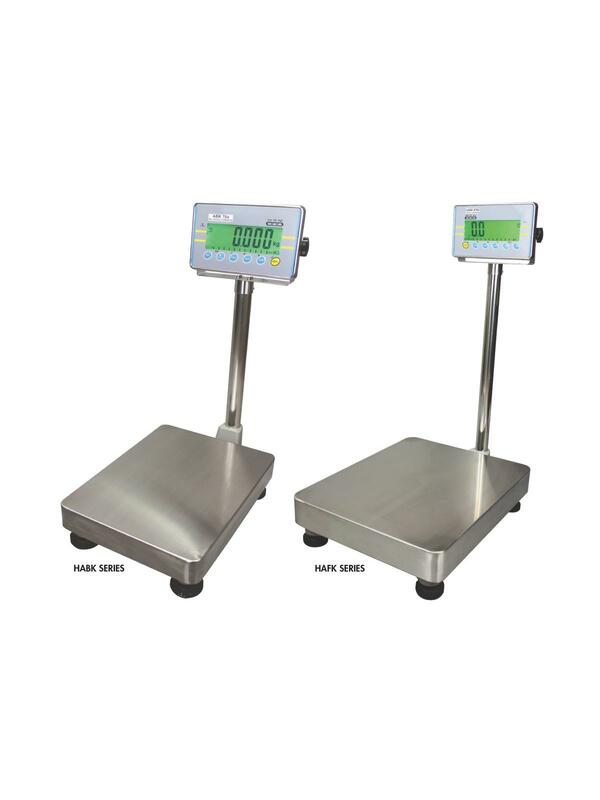 Features multiple weighing units: lb., oz., lb. :oz., kg., and g. Easy-to-see backlit display with 1.6"H digits. Wall mount or pillar mount indicator with adjustable viewing angle. AC adapter/charger and built in rechargeable battery. Stainless steel platform and digital display. RS232 printer port for data output. Checkweight LED indicator lights with [HIGH], [OK], [LOW] indication for speed weighing. Capacity tracker alerts operator of remaining capacity to prevent overloads. Accumulation function for weigh/count. Dynamic weighing function for weighing items that are unstable like liquids or animal weighing. Parts counting function. Rechargeable battery up to 90 hours of operation. Stainless steel column. Non slip rubber feet. Audible alarm. FOB Shipping Point. 330 lb. x 0.02 lb. 150 kg. x 10 g.